Melissa Mathis (Melissa Nelson) is a great example of learning and perfecting real estate from the ground up. Starting as an administrative assistant in 2010, Melissa quickly learned the basics of helping clients buy, sell and rent residential real estate. After a short time, she knew real estate was the right fit for her. Melissa has held her real estate broker’s license with Wenzel Select Properties, Ltd. since March 2013 and continues to expand her expertise through continuing education and everyday hands-on experiences. Melissa has completed her Accredited Buyer Representative (ABR) designation class, giving her the upper hand in servicing buyers by committing to each person’s interest and helping them find the right property for their specific needs. Melissa is a member of the National Association of Realtors, Illinois Association of Realtors and the Mainstreet Organization of Realtors. These resources combined give Melissa the utmost tools and services to best help clients buy, sell and rent property. Melissa is known by her colleagues and clients as being attentive, supportive, knowledgeable and available. Her commitment to each and every person she works with is driven by Wenzel Select Properties’ #1 focus of giving each client one on one support throughout the entire transaction. 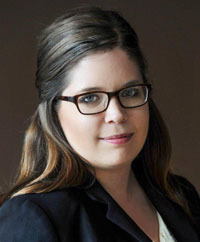 Prior to earning her Real Estate Broker’s license, Melissa attended College of DuPage and focused her studies in social work. Melissa was born and raised in Downers Grove and currently resides in nearby Lisle with her husband, Clinton and two cats, Moto and Fox.